after vandals damaged a fence, the signpost and a picnic table. DERRY -- Few have said it better than Woody Guthrie: “This land is your land, this land is my land...,” a musical idea that provides the perfect soundtrack for today’s Love the Land Conservation Day at Broadview Farm, which begins at 9 a.m. The event, co-sponsored by Derry Conservation Commission and Go Green Derry, is a first, according to Phil Auger, an environmental educator with UNH Cooperative Extension, who will lead the program. The idea, simply stated, is to engage residents in helping to look out for the town’s conservation properties. They will learn how to operate a manual compass, read a map, find boundary lines, and generally know what to look for when caring for community property. “We want people who will commit to telling us what they see on a given property, whether it’s something exciting, or something like abuse of land,” Ives said. 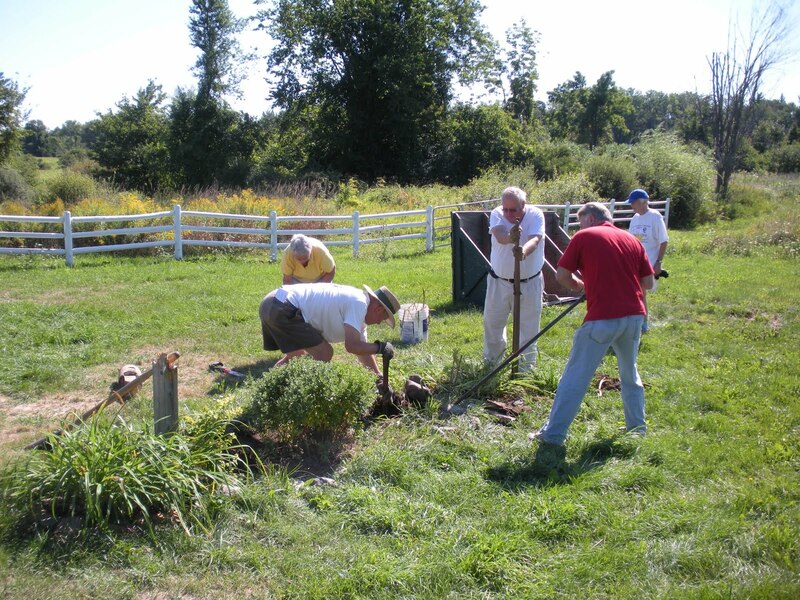 The program will be staged at Broadview Farm, a stretch of conservation land just off East Derry Road that also is home to the town’s annual community gardens. Last year vandals did some damage to the welcome sign, a wooden fence and a picnic table there. Many of the town’s protected properties have been damaged over the years by vandals who leave behind trash, litter or graffiti. By engaging more residents in the process of understanding the importance of conservation land, the hope is that more people will take responsibility for the properties that are preserved exclusively for the enjoyment of all, Ives said. Due to current outdoor conditions, Auger recommends all participants wear rubber boots. Also, it is bring your own compass, camera and notebook. “I’m making soup, and my neighbor is making corn muffins, and a few of the other members are bringing some food items, so afterward we will all get together and enjoy a meal,” Ives said. So far, about 20 people have signed up for the event, but all are welcome, Ives said.